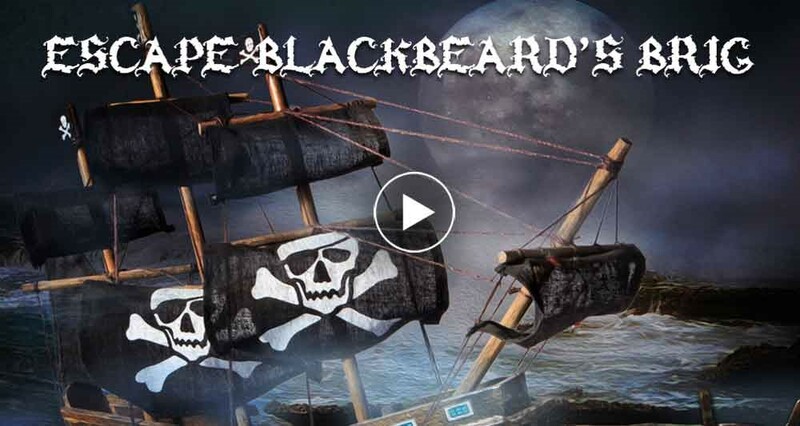 Th' fearsome Corsair Blackbeard and his crew o' dastardly pirates has taken ye and yer mates hostage. Arggg! The ornery cuss's thrown ye into th' brig, leavin' ye t' ponder yer terrifyin' fate. Now he be gone ashore t' pillage and plunder. Th' pirates will be back in 60 minutes t' decide yer fate.